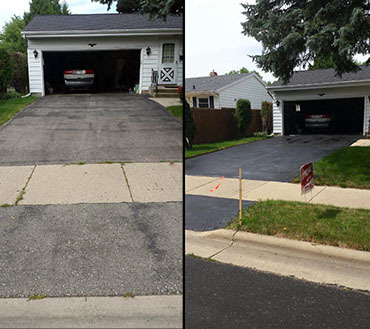 Utilizing a sealant* manufactured specifically for Wisconsin types of cold harsh winters and hot humid summers, your driveway will be well protected from the seasons. Our sealant is hand squeegeed (Not Sprayed) on the driveway assuring you the best sealant protection** and a newer look complimenting your home's beauty. Tom Murray of Madison says "Our asphalt driveway was looking really bad, gray with cracks and surface crumblings all over. 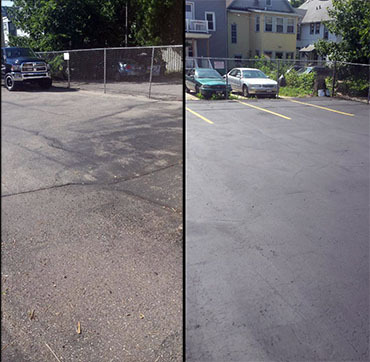 Mr. Denson did a super job rejuvenating a depressing looking driveway." 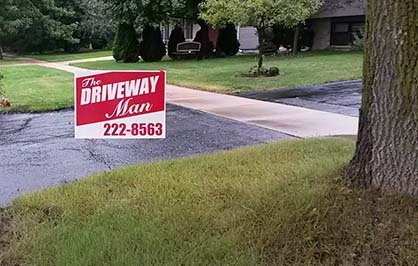 * Driveway man uses Seal Master Asphalt Based Pavement Sealer™. ** See Before & After page for more information.